Maintenance is a large budget item for every home, whether it is your personal residence or investment property. Many landlords think if they can cut down on the frequency of maintenance tasks, or put off regular maintenance, they can reduce their overhead costs. However, the experienced property managers Ft Worth landlords trust at Specialized are here to show you how that can be more costly in the long run. With Specialized property managers, Ft. Worth landlords know their property is undergoing proactive maintenance to extend the life of their home’s systems and save them money. Failing to perform simple maintenance tasks such as changing AC filters will put strain on your home’s systems and you will need to repair or replace them more often. Specialized recommends creating a schedule of known and needed maintenance tasks so you can keep up with your home’s needs. Set a budget: set aside at least 10% of the monthly rent to take care of maintenance issues. You may need more based on the age and condition of your home, your Fort Worth property management company can help you determine a good amount to set aside. Create a schedule and protocol: plan for known maintenance tasks, such as gutter cleaning, which will extend the life of your home. Create a protocol for when to repair or replace the systems and appliances you own. Respond to tenant requests: be respectful and respond promptly to tenant maintenance requests. This will signal to your tenants how much you care for the home, which in turn will spur them to take care of it too. Stay up to code: health and safety code violations can be costly, but code rules can also change frequently. Make sure you stay up to date on your knowledge of housing codes and inspect the home periodically to make sure it is not violating any codes. Your Fort Worth property management team can help you keep your property looking good, and up to code, all while keeping your costs down. For more information, or to hear about all our services, call Specialized today. Who do you turn to when you have questions about your property? What questions should you ask before you hire property managers? Fort Worth landlords turn to Specialized Property Management for answers because we have been in the business for over three decades, and we know a thing or two about running successful investment properties. To help you get your questions answered we’ve created a list of the top 10 property management questions we receive. How do I get my property rented more quickly? Make sure your property is rent-ready and market aggressively. 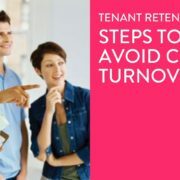 Keep your property well maintained and have a proactive tenant retention program will keep your home occupied. Automated rent collection ensures less waiting and worrying. How can I protect myself legally as a landlord? Strong legal counsel with regulatory expertise puts you ahead of any legal issues. How can I keep maintenance costs down on my property? 24/7 response and proactive inspections leads to more cost effective maintenance. Should I manage my own rental property to save money? Many clients find self-management ends up costing more in legal fees and making up for avoidable mistakes. Our clients find that they save money because of fewer costly mistakes and faster leasing. 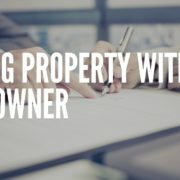 How will I know what is happening with my property? Specialized Property Management offers an online portal that tracks all activity at your property as well as 24/7 support and transparency. Ask the right questions! Ask us for a checklist to compare us to other Fort Worth property management. Why should I trust Specialized Property Management? With over 30 years as residential property managers we are the property managers Fort Worth landlords turn to for peace of mind with their rentals. SHOULD I HIRE FORT WORTH PROPERTY MANAGEMENT? Managing your own property can quickly become complicated and expensive. When you hire the experienced professionals at Specialized Fort Worth, you know you are getting property managers who are held to the highest standards. We offer affordable fees and never have hidden charges that surprise you. For more answers to your property management questions call Specialized Property Management today!